ARE YOU A FAMILY-FRIENDLY BRAND SEEKING TO REACH MY READERS? I am looking for brands that are interested in advertising on this blog, anytime between now and June. Your brand will be placed on my convention ad in my sidebar as a sponsor. You will be mentioned as a sponsor at the top of the three posts I write about the convention prior to the event and one following the event. You will be mentioned as a sponsor at the top of two posts I write about the convention prior to the event and one following the event. You will be mentioned as a sponsor at the top of one post I write about the convention prior to the event and one following the event. 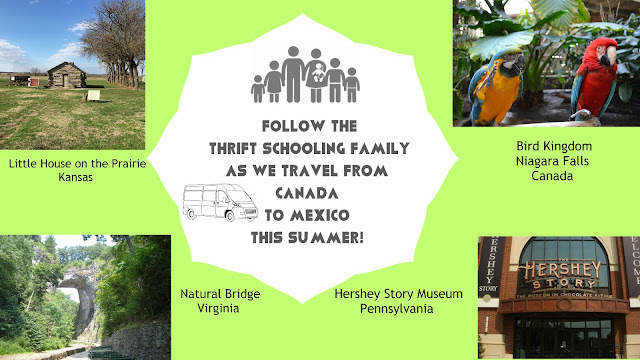 Should you want to sponsor my trip to HEAV Convention or have any questions regarding sponsorship packages - please e-mail me at thriftschooling (at) gmail (dot) com. My most recent stats can be viewed on my Contact Page. I didn't know that you can gift your frequent flyer miles to Make A Wish. Good luck with your shop and God bless.. I love the hand forged leaf and vine bracelet. There are many local chapters in the USA. I learned that they have media supports, like ESPN, that help champion the Make-A-Wish message! Hand Forged Leaf and Vine Braclet! I like the copper ladel and heart spoon. That would be a neat combination! I have mine hanging up for decoration in my kitchen and have used it before for hot apple cider. I love it!